In the upper image, the left green ball appears to be located in a valley while the right light-blue one appears to be placed on a slope. 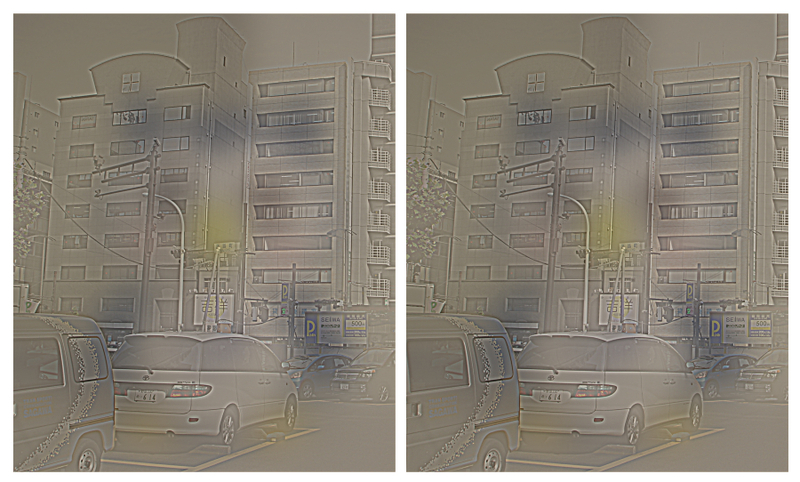 This relationship is reversed when the image is inverted, as shown in the lower image. 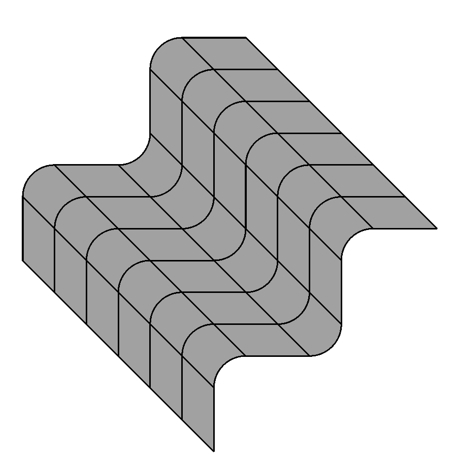 "Todorovic's depth reversible figure with the Zöllner illsuion"
Two states of wave appearance alternate. 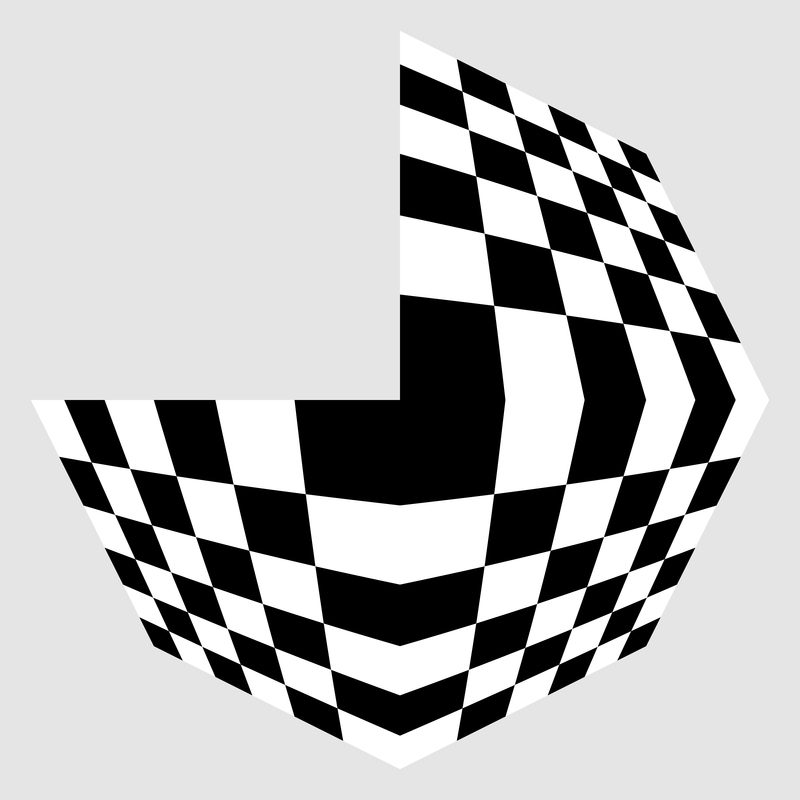 One is that the center appears to be convex toward observers while the other is that it appears to be concave. 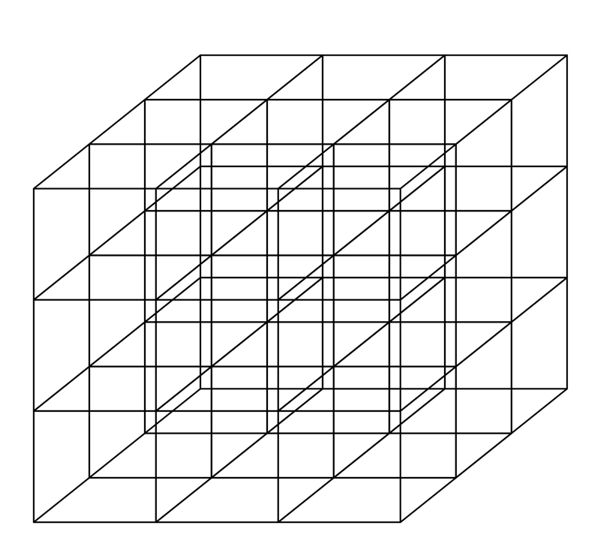 In addition, the six oblique lines are indeed parallel to each other, they appear to tilt alternately. 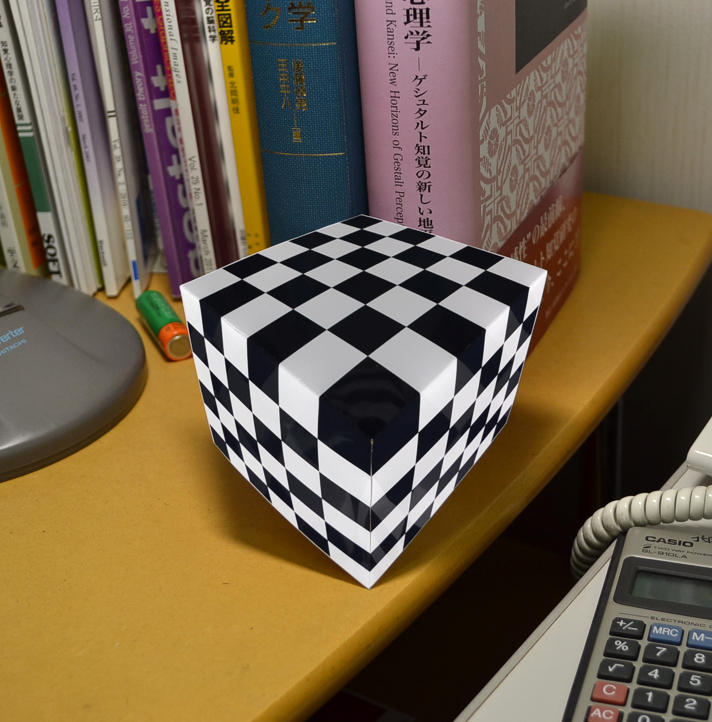 This physically concave object tends to appear to be convex. "Depth scission reduces masking of hybrid images"
For Hybrid images: Oliva, A., Torralba, A., and Schyns, P. G. (2006) Hybrid Images. ACM Transactions on Graphics, ACM Siggraph, 25(3), 527-532. The left image appears to be a concave on a bulge, while the right one appears to be a convex in a concave. 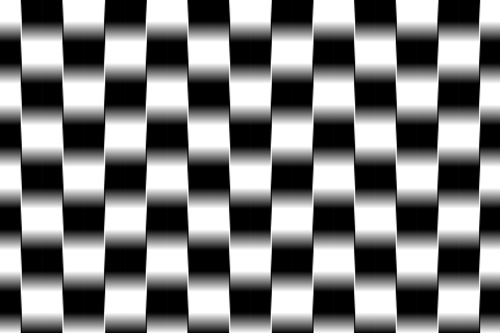 When this image is inverted, the appearance is exchanged. In addition, the left concave appears to be larger in diameter than the right convex, though they are of the same size. 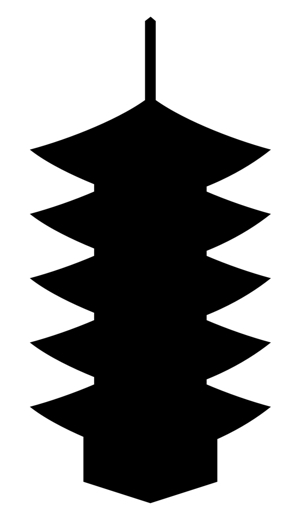 This image of sharp edges also works in the same way. 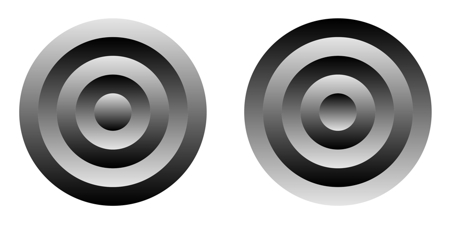 "Figure-ground reversible image of concentric circles"
In the left image, the outermost ring, the third one and the central circle tend to be figure: i.e. they tend to appear to be in front. Sometimes, for a shorter time, they appear to be ground: i.e. they appear to be located behind the second and fourth rings as a background. The right image shows the upside-down appearance of the left one. 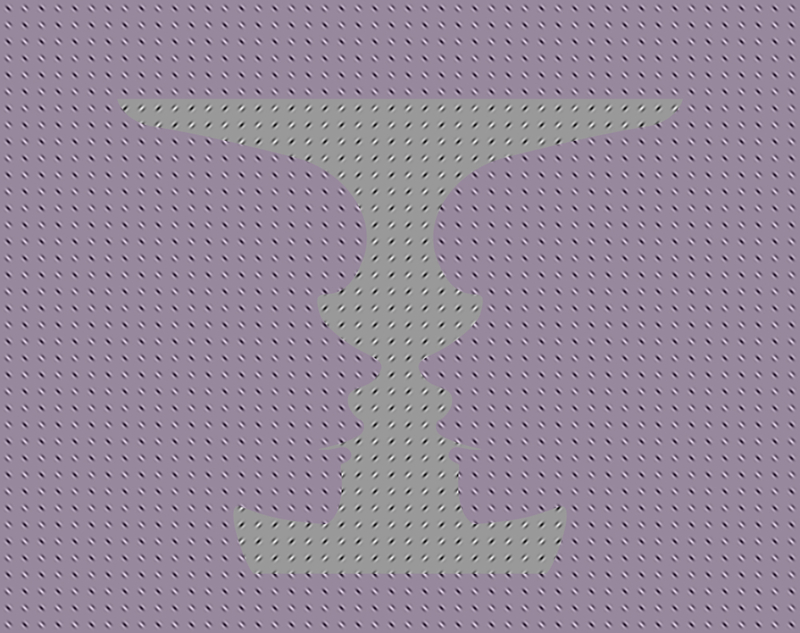 In this inverted image, the tendency which appears to be in front is reversed: i.e. the second and fourth rings tend to be figure. 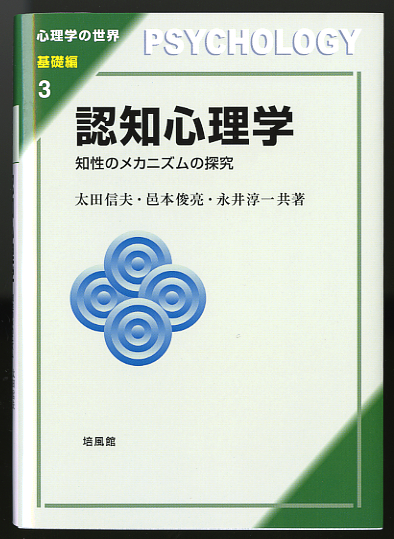 This image is adopted from the cover design of a psychology textbook shown below, with permission. 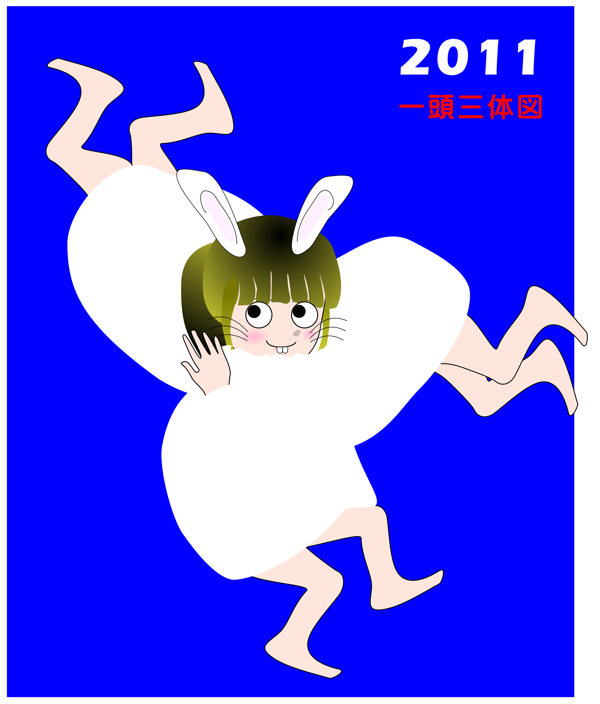 Rotation of this book is also fun! 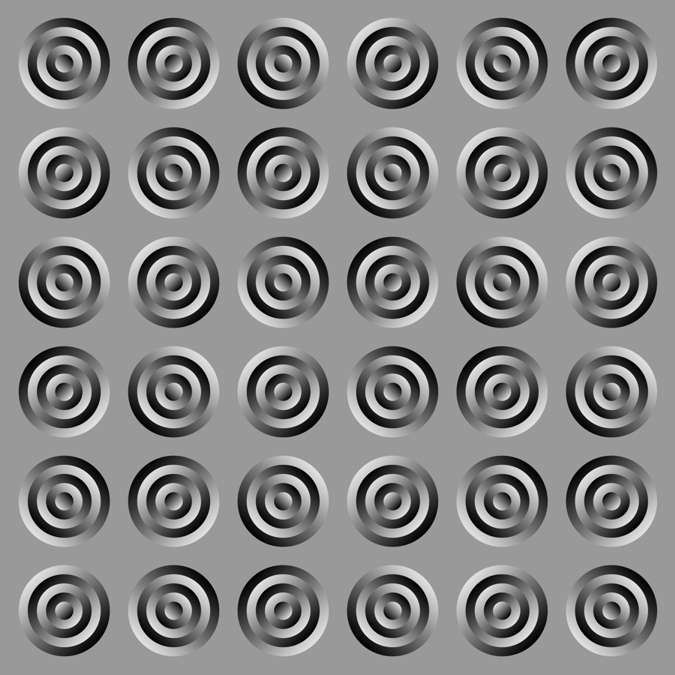 "Position illusion of the figure-ground reversible image of concentric circles"
The leftmost and the third disks appear to be located lower than the rest two, though they are aligned horizontally. I imagine this effect depends on the contrast-dependent size illusion that an image with lower contrast appears to be smaller than another image of the same size with higher contrast. "Visual phantoms and wriggle illusion of the figure-ground reversible image of concentric circles"
Cross-like oblique gratings of visual phantoms are observed. Moreover, rings appear to wriggle. 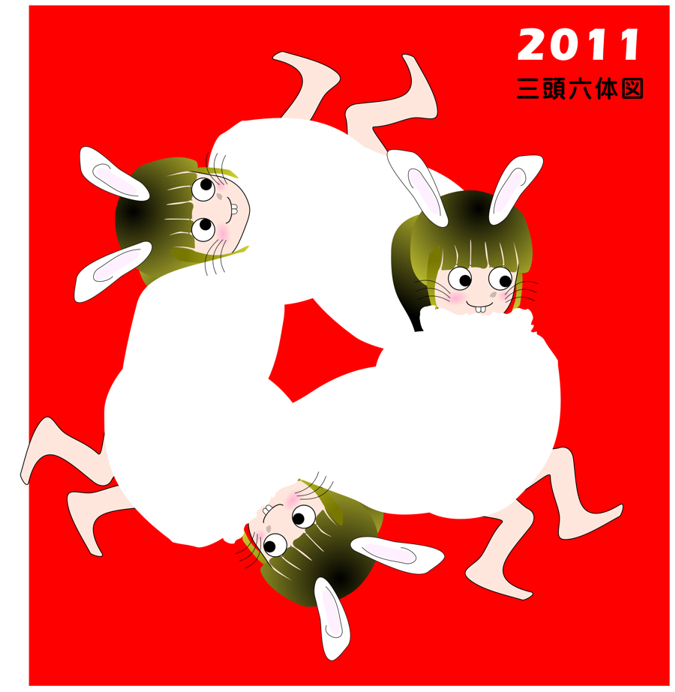 "Three heads and six bodies"
There are three heads and three pairs of legs, but six bodies are possible. "One heads and three bodies"
One head can be combined with any of three bodies. This silhouette appears to be a tower seen from the surface of the ground or appears to be one looked down upon from above. Perceived depth appears to be flipped over. Necker, L. A. (1832) Observations on some remarkable Optical Phenomena seen in Switzerland; and on an Optical Phenomenon which occurs on viewing a Figure of a Crystal or geometrical Solid. The London and Edinburgh Philosophical Magazine and Journal of Science 1 (5), 329-337.